The Sandy Springs-based fintech unicorn could raise $1 billion from its initial public stock offering. 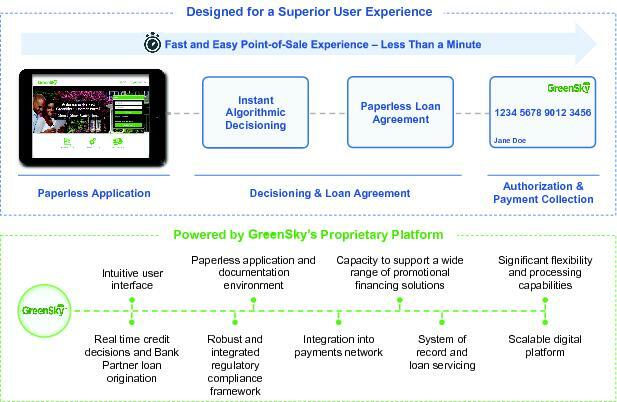 GreenSky touts the ease of use of its mobile-first financing platform in its IPO filing. Sandy Springs-based financial technology company GreenSky has announced plans to go public, filing paperwork Friday, April 27, for an initial public stock offering. The value of the stock sale hasn’t been determined — a figure of $100 million was used in the filing just to set the $12,450 fee — but Renaissance Capital estimates that the company could raise $1 billion. You might not know the company’s name, even though it was named one of CNBC’s 50 disruptors of 2017. But if you’ve instant-financed a home improvement project booked through Home Depot or an independent contractor, there’s a good chance GreenSky did the deal, meaning you did business with Sandy Springs resident, Israeli native and Jewish community member David Zalik, the company’s CEO. Zalik founded GreenSky in 2006 and owns about half the company, which was valued at $3.6 billion when Fifth Third Bank paid $50 million for a piece in September 2016. He was on the Sept. 5, 2017, cover of Forbes as one of the world’s top innovators for making “$9 billion in loans without a cent of risk.” Forbes estimates his net worth at $2.5 billion, making him one of the 1,000 richest people in the world. He was named the national EY Entrepreneur of the Year in November 2016. 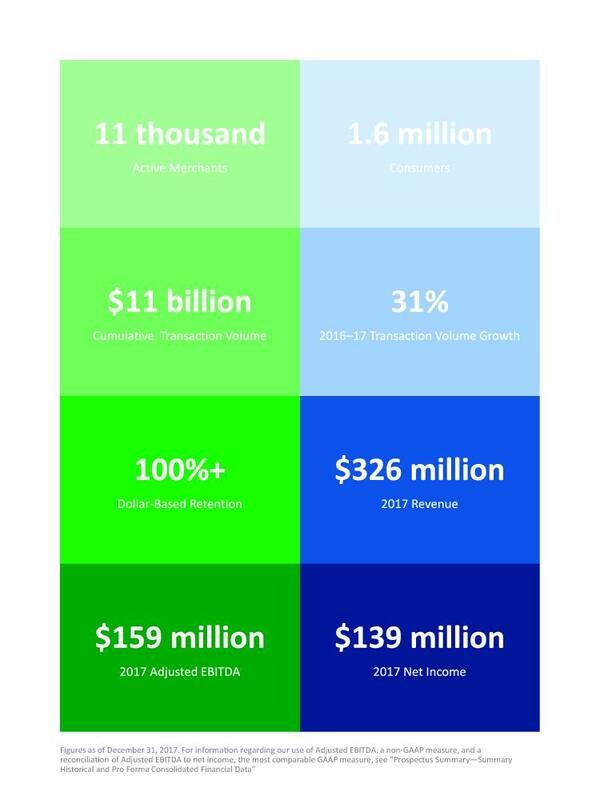 GreenSky summarizes its key numbers in its IPO filing. GreenSky uses a proprietary online platform to arrange instant financing for home improvement projects, elective medical procedures, veterinary surgery and other purchases for which consumers might otherwise have to arrange loans or carry credit card debt. 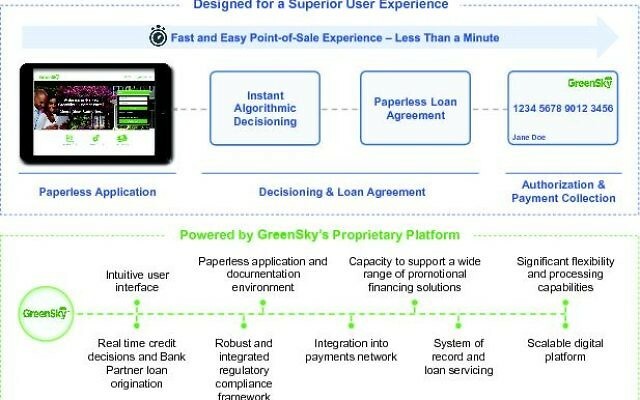 Stores and contractors can connect with GreenSky at the point of sale and get financing approval for most customers within a minute. While GreenSky arranges, approves and services the loans, the money comes from banks such as Regions, Fifth Third and SunTrust. Required to submit two years of audited financials, GreenSky offered three years, telling a story of rapid, profitable growth. Home Depot represented about 6 percent of GreenSky’s $326 million in revenue in 2017, according to the filing. The company reported a profit of $139 million. GreenSky has 11,000 active merchants in its program and has worked with 1.6 million consumers while facilitating $11 billion worth of transactions in its history. Zalik himself has a fascinating history. The son of two immigrants to Israel, he moved to Alabama at age 4, started taking college classes at age 12 at Auburn, where his father was a math professor, then enrolled at the university instead of going to high school. He started a business building computers to make money to buy a car, then dropped out of Auburn to focus on that business, MicroTech, which he sold in 1996 at age 22. He started a couple of other businesses that failed before moving on to GreenSky. His wife, Helen, is a lawyer in Midtown Atlanta and a co-founder of the Jewish Women’s Connection of Atlanta. She was part of the search committee that recommended hiring Eric Robbins as the CEO of the Jewish Federation of Greater Atlanta. That committee was chaired by Gerry Benjamin, GreenSky’s chief administrative officer and board vice chairman. The company board also includes Jewish Atlanta marketing whiz Joel Babbit.